Rep. Scott Perry (R-PA) told Breitbart News in exclusive interviews on Thursday that Democrats should remain cautious in a battle over wall funding because President Donald Trump “does not blink very often” in a fight. 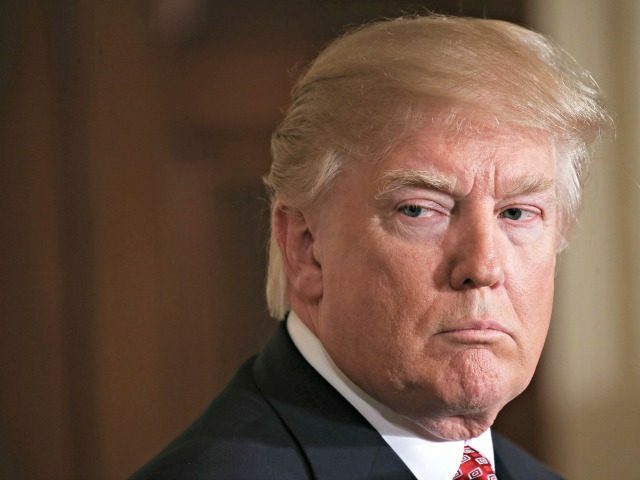 The House will likely vote on Thursday night on border wall funding after President Donald Trump signaled on Thursday that he will not accept a short-term continuing resolution (CR) without border wall funding. Trump also threatened to veto any legislation that comes before him without border security funding. The House Freedom Caucus, including both Reps. Perry and Jody Hice, led a special order on Wednesday night to urge the president to include border wall funding in the spending bill. Freedom Caucus Chairman Mark Meadows (R-NC) said that House conservatives will back him if he vetoes any legislation without border security funding. Rep. Perry said that Democrats should remain cautious in a border wall funding fight because Trump is a skilled negotiator who does not “blink very often” in a fight. The Pennsylvania Republican also said Democrats face tough political odds in that they would have to explain to their constituents why they would rather shut down the government than secure America’s southern border. Congressman Perry told Breitbart News that he believes the House will pass the spending bill with $5 billion in border wall funding and that Senate Democrats will have a tough time opposing the border security measure. Rep. Hice said he’s very encouraged to see the president take a stand for border security funding. “I don’t believe in four years I’ve seen our conference more unified than today, they’re saying let’s stand and fight,” Hice added. The Georgia Republican said that the fight for the wall is just the beginning for Trump’s America First immigration policy. Do we actually think we’re going to get a better deal from Nancy Pelosi when she’s Speaker of the House? This is the time to fight. This is our last chance to get the President his wall because we won’t be able to get it without a 7-million-person amnesty package when Pelosi is speaker. I don’t care if every Senator and Congressman has to cancel their Christmas – we’re going to stay here, we’re going to work, and we’re going to deliver on our promises. Rep. Paul Gosar (R-AZ) told Breitbart News on Thursday that he continues to fight Republican and Democrat leadership to obtain wall funding to secure America’s borders. All we kept hearing from leadership is that Schumer won’t put Pelosi in a precarious position to get the votes. You know what? Leadership is tough. And I’m not making it easy for any of them. I’m fighting my leadership, and I’ll be fighting their leadership, so the point is: let’s do what’s right for the American people. Trust is a series of promises kept, a promise that we made four times over. The same play call has been called before, and it doesn’t work; it’s time to invent a new idea.